The Furniture section of our Fine Sales offers the very best period furniture that comes through our Furniture department for auction. Although the furniture section is part of the fine sale, it offers a discrete period furniture auction in its own right. 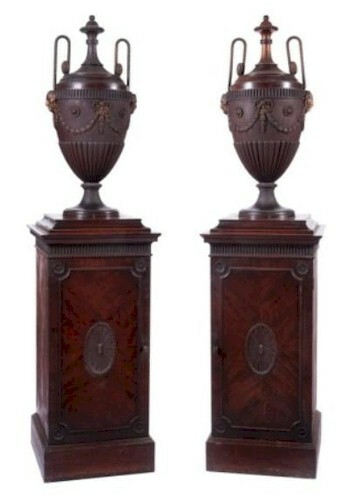 A notable success in the Period Furniture Auction of the April 2013 Fine Sale was a Pair of George III Mahogany Pedestal Urns (FS18/813) that fetched £350,000 at auction. The furniture section of the sale usually offers several hundred lots of fine period furniture in range of styles and tastes.